Good to know. I noticed this morning Pumbas eyes are funky his paws are a tad pinker then usual. I cleaned his eyes and instantly said to myself home cooking it is. I made a pot of ground turkey cooked some carrots and butternut squash cooked one egg and grounded the shell with 2tablespoons of organic flaxseed. Then chopped up a bunch of organic spinach and peels apples. I have the Health Extension joint mobility and just read the fine print that says it has traces of wheat. So now at a loss as to how to get his glucosamine in his diet. Any suggestions on this or any advice on what to add to his food? Oh I also put a handful of blueberries in the mix. Running to the store to get sweet peppers now am I missing anything? I used two pounds of ground turkey to start. No beans or lentils thinking of adding peas. Oh and I mixed in two teaspoons of organic apple cider vinegar. Yes I have lost my mind today! Thank you!! I am going to google it! I ran to Petsmart on my way home and everything had slight traces of wheat or say. I am going to google this now and call my vet first thing in the am about it! Thanks so much! I am going to start giving Jax GLM (green lipped mussel powder). It is supposed to be a natural anti-inflammatory and good for the joints. Interested in what brand of joint supplements people are giving. 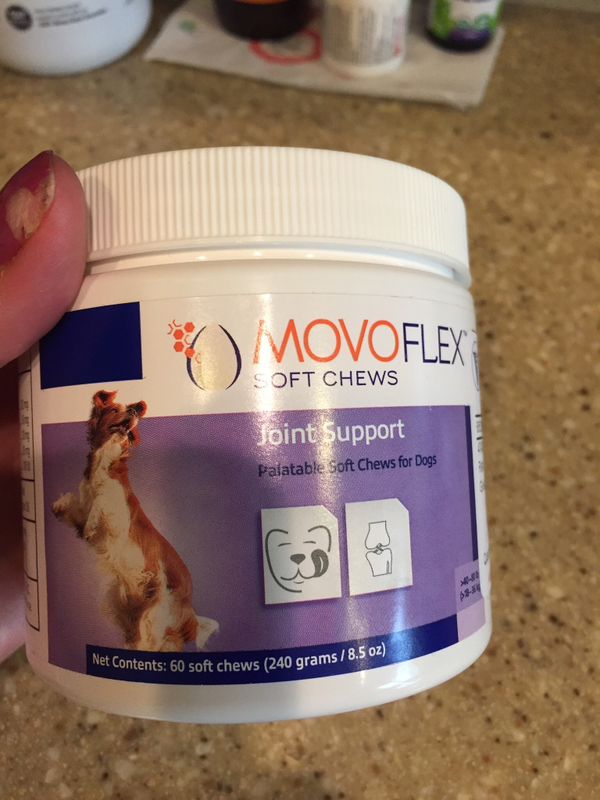 I see NuVet, Movoflex and Acti-flex but others are referring to glucosamine in general. My bully had been blood tested a while ago (8 years) and showed allergies to chicken. Nuvet and Movoflex both have chicken in them. Thank you! The Liquid Glucosamine I buy is the one at Costco. All Liquid supplements are absorbed faster thought the system. Anything that’s liquid, oils are way better than hard capsules/ tablets. For Capsules, only about 50% is absorbed. Waste of money. The powder form is much better than capsules. I said this often for turmeric you need to add just a tiny tiny pinch of black pepper for its full potent to be absorbed n any silicon/plastic capsules is to be thrown away n just use whatever is inside into your dog’s meal. Our human capsules are not made for any dog’s digestion. Is the liquid you get okay for dogs as well?